Please note location has changed!!! 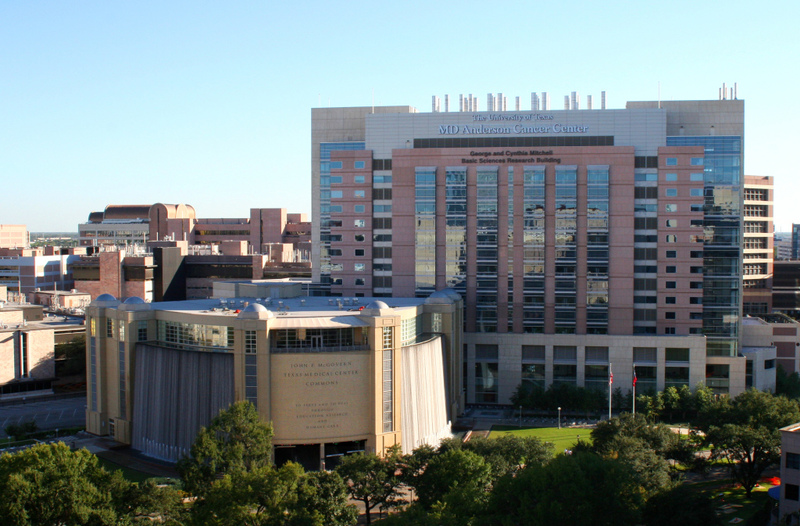 The George and Cynthia Mitchell Basic Sciences Research Building (Mitchell Building) is the home for The UTHealth Graduate School of Biomedical Sciences at Houston. 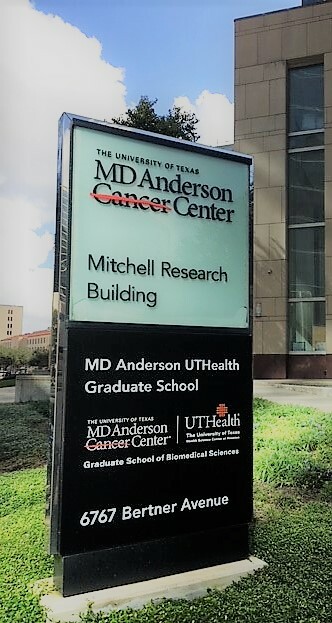 The building is a part of the large UT MD Anderson Cancer Center campus. The Mitchell Building is located at 6767 Bertner Avenue, immediately adjacent to (south of) the John P. McGovern Texas Medical Center Commons (the building with the waterfalls). For information on daily parking rates and additional parking options please visit Texas Medical Center Visitor Parking. Fees include CME, 1 hour of Ethics, breakfast, lunch & refreshments! Other medical providers may attend at a discounted rate by contacting us at swcoeh.ce@uth.tmc.edu for the discount code to use during registration! Please check with your licensing and certification boards as to how you can apply contact hours and all documentation needed. CEUs will not be issued outside of CME. A certificate of attendance with contact hours will be issued at the end of day 2 and CME will be sent by email when accredited. Contact us before registering for the special discount code for MLPs. Please contact us at swcoeh.ce@uth.tmc.edu for discounted registration fees. Contact us before registering for the special discount code for Residents. The primary care practitioner (PCPs) may frequently encounter work-related health problems in the patient population. In addition, primary care providers may be called upon by small companies and businesses to serve as medical advisors. However, most PCPs have little or no formal background and/or training in this area. The course will review the primary care provider's role in administrative and legal issues related to occupational health. This is Part I of a two part series. This program is designed for primary care physicians. Many other professionals will benefit from attending as well. These include physician assistants, nurse practitioners and other primary care providers who have limited formal preparation in occupational and environmental medicine (OEM) but who handle occupational health problems on a full or part time basis. Physician Residents are welcome to attend. This workshop is designed to enhance the knowledge of primary care providers in their treatment of patients with work-related injuries and illnesses. You will experience 12 contact hours of expert instruction while interacting with your peers. At the end of this activity, you will have specific knowledge in managing occupational illnesses and injuries. You will better understand workers compensation requirements and how occupational health disparities are reflected in your patient population. Arch 'Chip' Carson, M.D., Ph.D., Associate Professor in the Department of Epidemiology, Human Genetics and Environmental Sciences and Director of the Occupational Medicine Residency Program at the UTHealth School of Public Health in Houston, Texas. George Delclos, M.D., M.P.H., Ph.D., Professor in the Department of Epidemiology, Human Genetics and Environmental Sciences at the UTHealth School of Public Health in Houston, Texas and Senior Researcher in the Center for Occupational Health Research at the Pompeu Fabra University in Barcelona, Spain. Brett Perkison, M.D., M.P.H, Assistant Professor in the Department of Epidemiology, Human Genetics and Environmental Sciences at the UTHealth School of Public Health in Houston, Texas. Guest instructors include physicians and professionals from the Texas Medical Center, Chevron, Shell Health, Texas Department of Insurance, private practice and other leaders in the occupational medicine field. Continuing Medical Education (CME): Determination of credit is pending. Certificate of Attendance can be provided for all other providers, public health professionals and attendees.